February in Canada is heavy haul season. Peter Robitaille was on the spot again to withness another mega load! And even Peter was spotted and interviewed...! The mega load on the Edmonton CTVNews and Peter in the approx. 54th second. Who adds the pictures of super-tester-hill?? Odds are you won't see any pictures of the load going up Super Test. The move up the hill is scheduled for between 1 and 4 am tomorrow morning. WOW that is a nice big move. This seems so close to (600km ) I wish I could have been there. Thanks for upload the pictures, I can't wait till I work with Mammoet as well. Yes sir! To say we've been busy in Canada is a pure understatement! Those shots are great! Great stuff !!!! as always, Oebele. Thanks to you and Peter both. 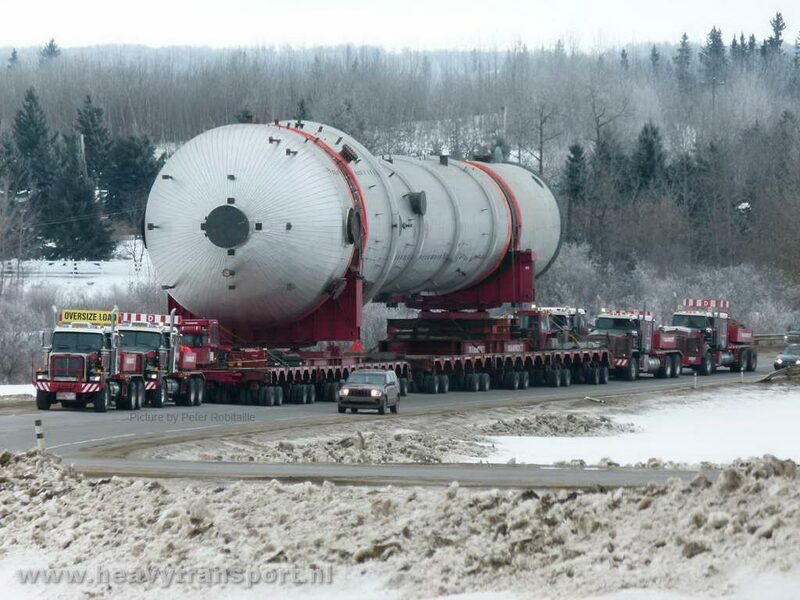 Always look forward to the heavy haul season in Alberta!!!! !, Tim. Just don,t let the Aussie boys near it if they have to mount any medians!! Mis the point here: what is a median? A median in North America I believe is referred to as a reservation in Europe. It is either grass or raised pavement between lanes running in two opposite directions. 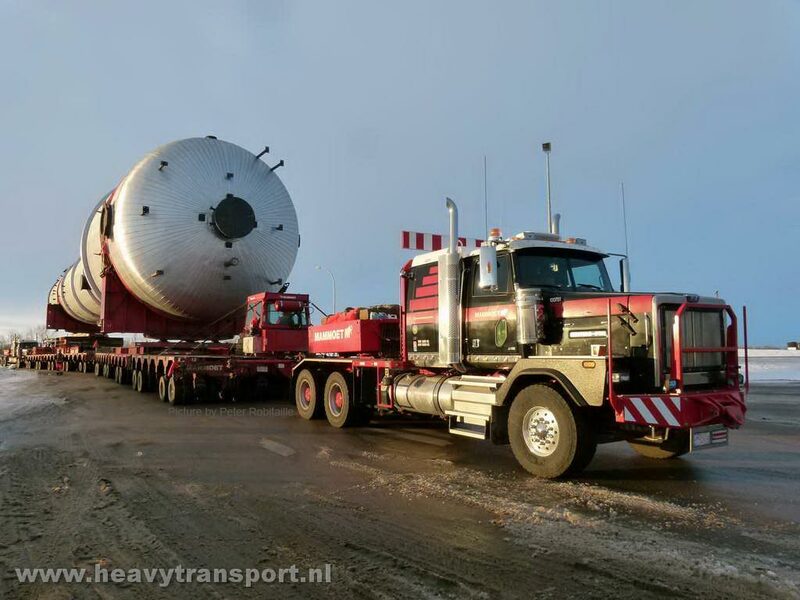 Really enjoy the Mammoet pics. Have the WSI model of the move made several years ago. Like the new front fender design on the Western Stars. Thanks for sharing.